I’m popping in to share a really quick fun baking craft I did with Kinsey a few weeks ago. Kinsey LOVES to bake. 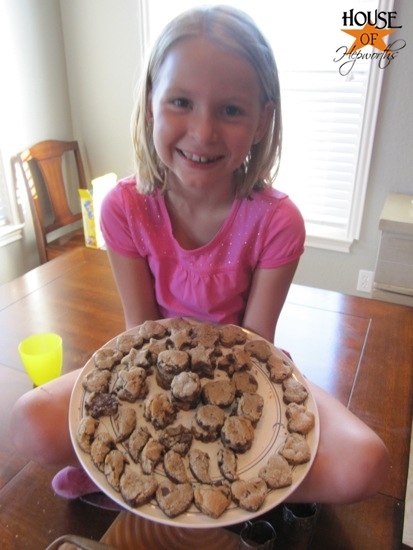 Her favorite are Chocolate Chip Cookies (I use the recipe on the back of the Nestle Toll House semi-sweet chocolate chips bag). We decided it would be fun to get creative with the cookies and make little shapes from them. 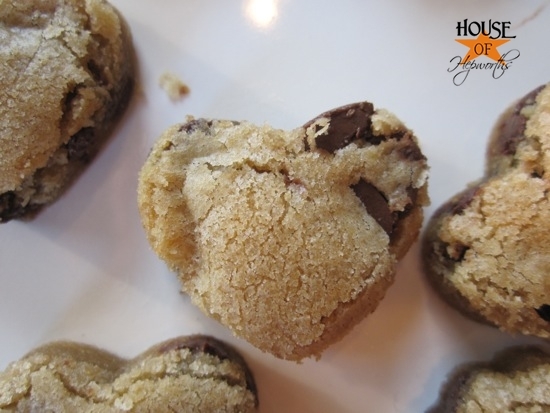 Have you ever tried to use cookie cutters on Chocolate Chip Cookie Dough? They do not hold their shape when you bake them and turn into a mess. So we baked a cookie bar instead! 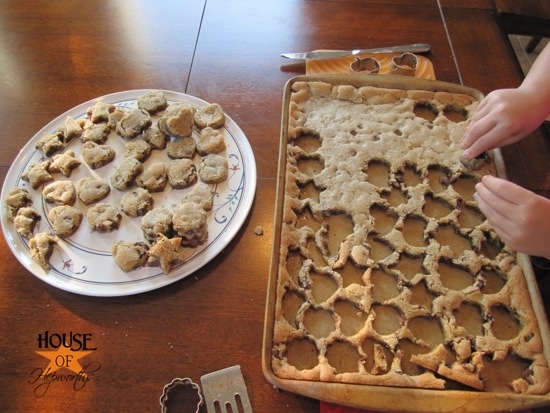 We just put the entire bowl of dough onto a cookie sheet (bar pan – I have this one), lowered the temperature on the oven by about 25 degrees, and baked it until it looked done. The hardest part was waiting for them to cool completely before cutting out our shapes. For an additional fun twist we used mini cookie cutters. I’ve had these for years but have only ever thought to use them to cut the cheese. I mean, to cut shapes out of cheese. Sorry. Freudian slip there. They worked great for bite-sized cookies! Kinsey used the cutters to cut out mini cookie shapes in the completely cooled off cookie dough. She had the best time! We had quite the stack of mini chocolate chip cookies. And judging from the look on Kinsey’s face, I’d say this baking kids craft was a total success! 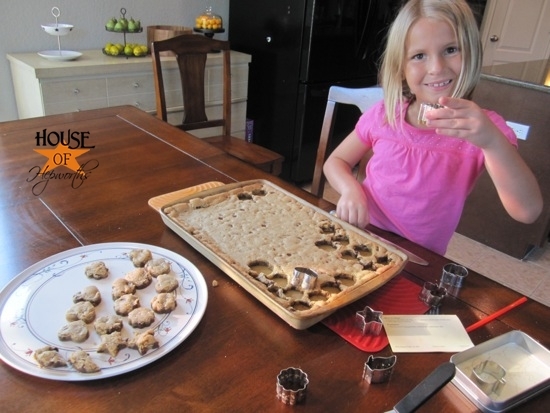 This is just a fun quick way you can spend a few minutes baking and crafting with your kid. Not the most lavish tutorial I’ve ever shared, but I just wanted to share an easy way to impose your love for baking and/or crafting on your Chicklets. 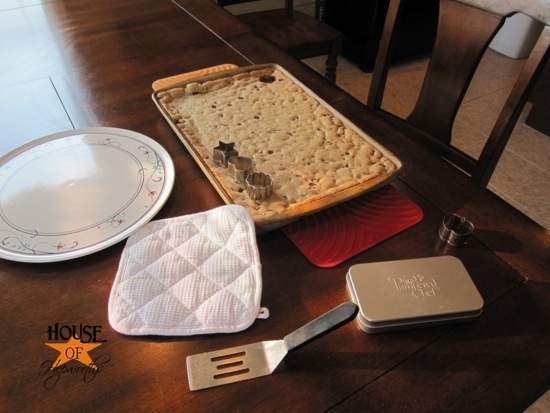 This Holiday Season while you are doing loads of baking, bring your kids into the kitchen with you! They will never learn how to bake unless you teach them. Speaking of, did you know I had to call my mom when I was 19 (and married!) and ask her how to boil and egg. True story. Oh yum! Adorable AND delicious – what a great combo! 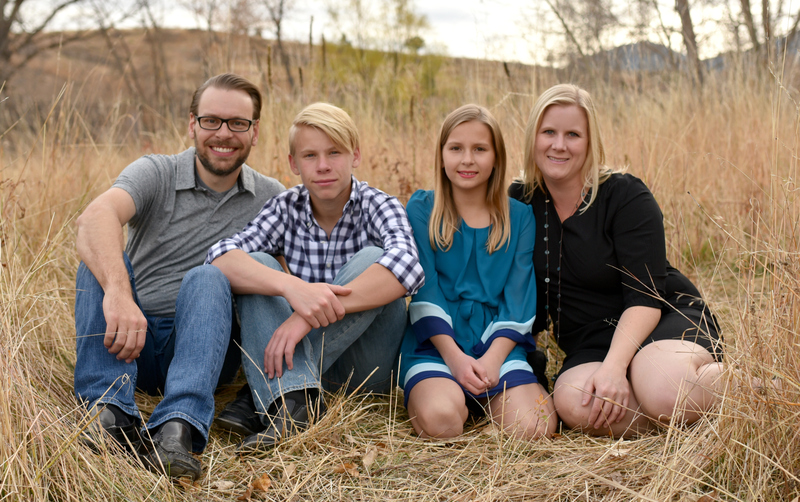 I’ve got a terrific giveaway of an 8×10 Canvas Photo Print going on right now – come on by to enter! Those are cool. My grandson likes to cut the Jello jigglers with the mini cutters. Super cute idea! This would also be a fun idea for holiday treats for the neighbors. Beats a boring ol’ regular shaped cookie! I love doing those! Except for the part where I have to make sure and bake the sheet pan of cookies evenly. Know what’s even more fun? Using the cookie cutter to cut the cookie, but leave the cookie in the cutter, then press some ice cream into it, then pop it out! Mini cookies cutouts is awesome cake making with really good thinking to achieved with great option used with users. I think simple works great for kids, that way they don’t get frustrated and you both enjoy yourselves. awesome idea! I did something similar (but am now smacking my head that I didn’t think of doing the bar form first!) – and then we had an adorable tea (ok, water) party with all our mini desserts. We got dressed up and everything. It was a huge hit with my 6 year old! What a great project for the kids to do! 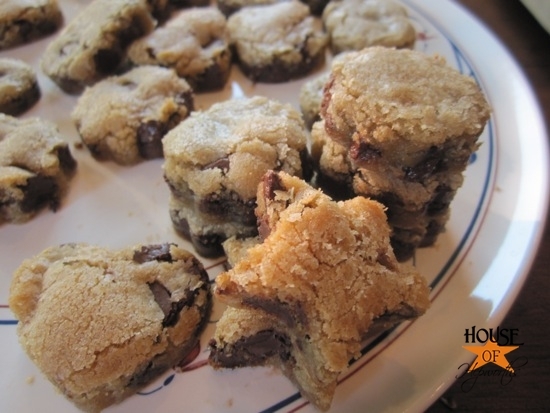 Plus…….eating all the scrap cookie leftover does not count as calories, right??? It’s not like you are eating “cookies”…………….bits and pieces do not count. Definitely does not count as calories! I still can’t figure out what is making my pants fit tighter. I know it’s not those calorie free cookie pieces. Freaking Genius – you really are! LOVE – going to make some right now for the kids to play with after naps. THANKS! !